Reform of the institutional framework for water governance in Thailand is long overdue. The current system has proved to be ineffective in steering the country’s economy and social fabric through droughts, flood and water pollution, and the matter is unlikely to get better on its own under the changing climate. A new balance between the needs for vertical and horizontal coordination and decentralization is needed. The governance architecture is replete with examples of both fragmentation and overlapping of mandates with responsibilities distributed to as many as 22 government agencies straddling across 8 ministries. The Bangkok Metropolitan Administration, other large municipalities and numerous local governments all face significant challenges handling water-related emergencies—implying the need for further reforms. Civil society and the public needs to be involved more in the strategic preparations for floods, droughts and other challenges in the allocation of water and maintaining water quality. 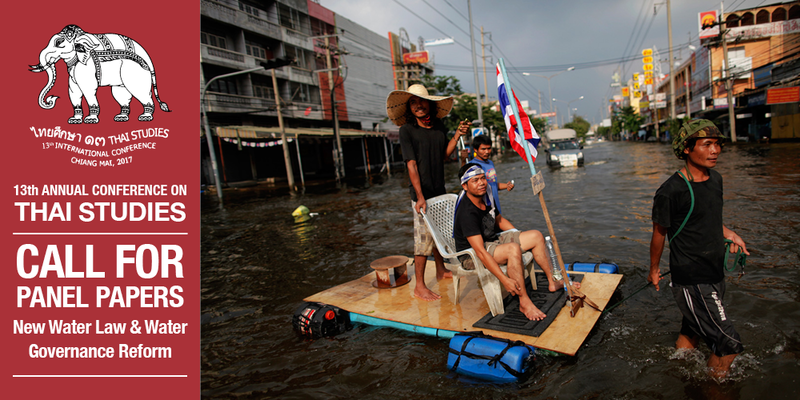 The need for reform emerged clearly in public hearings after the devastation caused by the floods of 2011 underlined the weakness of key institutions in Thailand in the face of extreme events which could easily become more frequent or severe under climate change. The proposed water law has been in the legislature for almost a year, following almost 30 years of inconclusive progress towards a Water Law. Given the political development, there is a sense that the long wait is about to come to an end and a passage of the water law from the military appointed legislature seems imminent. An assessment on how the new water institutions would or could perform would be useful for outlining pathways towards an implementable framework for water Governance in Thailand that is equitable and sustainable. Co-conveners: Manoj Potapohn and Louis Lebel from Chiang Mai University and Nipon Poapong-sakorn from the Thailand Development Research Institute.